The most important thing to understand about B2B SEO is that it is built for the long term. SEO isn’t going to get you a quick boost in traffic once you optimize your site and start a link building campaign. It takes time and depending on the industry or niche and how competitive it is, it can take a long time to improve your search engine presence. In some cases, a B2B may need a short term boost, especially if there is a product or service that will only be offered for a limited time. Paid online advertising is the best way to achieve an immediate increase in website traffic. Paid online advertising has an important benefit in addition to increasing website traffic. It helps to build and establish a brand online. If you operate a B2B and are just getting started with building your online presence, online advertising is a worthwhile investment. Ads may not always be clicked on, but they will be seen and eventually, remembered. The first way to advertise a website online is to pay for display banner ads. Fees can be charged by CPM (cost per 1000 impressions), CPC (cost per click), or at a flat monthly rate and are typically very expensive. It’s important to select the best websites to display your ads on. They should be in some way relevant to your niche and generate traffic on a regular basis. You don’t want to waste your money advertising on a site that nobody visits. Another option is to run a retargeting campaign within an ad network. After a visitor leaves your site, they will see your ad on other sites that they visit that serve as a reminder. There are cons to consider before running a B2B retargeting ad campaign. You do not have complete control over where the ad is seen and the prospect could be turned off that you are essentially “following” them around the web. Social network advertising is another option. By paying the social network, an ad will be shown to an audience segment that you determine. It is possible to target social ads to a very specific group of users, but overall these ads can be ineffective since many users aren’t in “purchase mode” while browsing a social site. 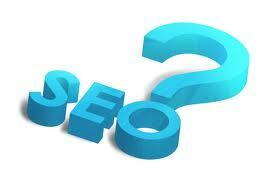 Perhaps the best paid online advertising option for B2Bs is to run ads in the search engines. PPC ads can be expensive, but will get your site ranking in the Sponsored section for your targeted keywords quickly. Search engine PPC ads tend to generate better traffic than banner or social ads because people go to the search engines wanting something. If your website suits their need, they will click on it. A paid online advertising campaign can be successful, but it can also get very expensive. It’s important to invest in SEO for the long haul. Once you’ve found SEO success, you will be able to scale back on your paid efforts. About the Author: Nick Stamoulis is the President and Founder of Brick Marketing, an SEO services firm. For more information please call 781-999-1222 or visit www.brickmarketing.com. Brick Marketing can be FOUND here in MacRAE’s Blue Book!